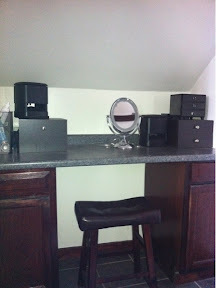 This is my vanity at the new house, great space but I need ideas to make it me. Tiles? Color?